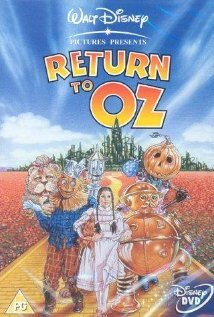 The Wizard of Oz is one of my favorite stories and I've enjoyed not only the original book and series by L. Frank Baum, but also its many adaptations and retellings. I also re-read it in high school when we learned about the Populist movement. Certainly put a different spin on a childhood classic. 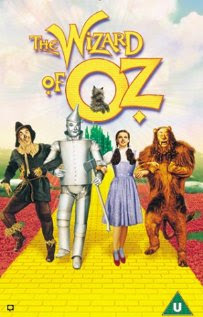 The much-loved film starring Judy Garland is one of my favorite movies. I've introduced the kids to it, and although they didn't quite buy the whole water melting a witch bit, they liked it. My childhood dreams took on a trippy, creepy bent thanks to Return to Oz. That whole asylum scene was one of the scariest things I'd ever seen. And the room full of different heads...shivers up my spine just thinking about it. (Relive the trauma with this post by Megan.) I can't say it's one I would rewatch, though. 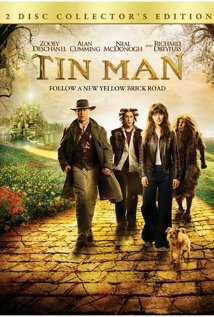 The SyFy miniseries, Tin Man, was fun. That one I see at least once a year. It fulfills that alternate-dystopian-good-triumph-over-evil fix. Or maybe I just get lost in Neal McDonough's eyes. The stage has given us some retellings as well. 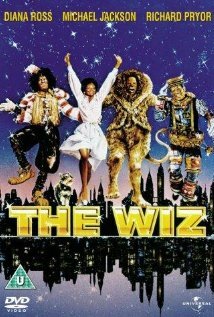 I've "Ease['d] on down the road" with The Wiz, and learned how to "Defy Gravity" with Wicked (also a book series by Gregory Maguire). I recently saw the stage production of Wicked. If you like musical theater I highly recommend it. The Wizard was my first introduction to a con man. Think about the life he created for himself! Build a city, then make everyone wear green glasses so they'll believe it's made of emeralds. He might pull that "Aw shucks, I'm not a bad man, just a horrible Wizard" bit, but I can't believe I'm the only one who thinks that it was in Dorothy's best interest to miss that final balloon ride. He was a bit bumbling in the classic movie, a tragic drug-addled seer in Tin Man, and a horrific despot in Wicked. Now a new movie is coming out next year, this time putting the Wizard front and center. I'm looking forward to Oz The Great and Powerful, and I'm not really a huge James Franco fan. I am an Oz fan, and right now, that is good enough. I hope they don't make him too heroic, though.